Harness Racing Australia (HRA) and its Members are dedicated to the humane treatment and welfare of horses. The cruel, abusive or inhumane treatment of a horse by any owner, trainer, driver, stablehand or other person must not be tolerated anywhere, under any circumstances. The litmus test when considering the effectiveness of the harness racing industry’s equine welfare policies and procedures is to ask ourselves - is it ethically acceptable? Whilst HRA Members are confident in the various programs, welfare guidelines and practices currently observed within the industry, there is no room for complacency and these activities are under constant review. Recently the lifecycle statistics for Standardbreds wasnot as well understood as they could be, so deregistration regulations were re-ficussed and enacted. Similarly, through continued improvement and moderation, Australian harness racing has one of the most stringent whip use policies in the world. Harness Racing Australia is truly committed to being leaders in the area of equine welfare. HRA regularly consult with welfare organisations as part of a formal review processes and a group of acclaimed experts in the field of animal health have been assembled as the Standardbred Welfare Advisory Group (SWAG) to provide on-going advice for HRA Members on equine welfare and integrity matters. Integrity Officers (Stewards) have wide ranging powers, supported by the Australian Harness Racing Rules, which include unannounced stable visits and inspections. During such visits, each individual horse is inspected, as is the property and its surrounds - which includes feed, fencing, stabling, bedding, access to water, shade, exercise, security and cleanliness. 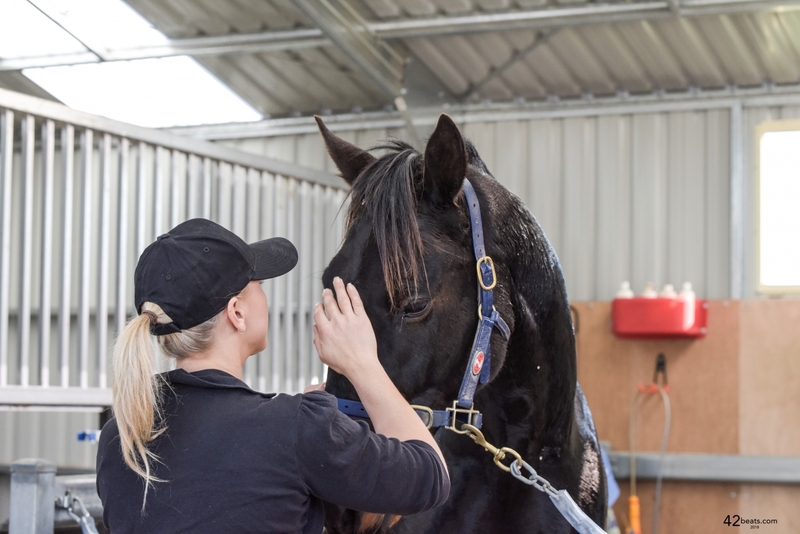 Any concerns or issues are appropriately dealt with, including setting timelines to improve standards, more regular visits, imposing penalties or more immediate action such as removing the horses if circumstances dictate (including involving relevant welfare and law enforcement organisations). Administrators and Stewards also work effectively with welfare organisations and law enforcement agencies to identify horses and owners in instances of mistreatment of a Standardbred which has been deregistered. The Trotting On program and related activities in each State are also being continually developed and enhanced to provide opportunities for horses when they exit the racing industry. As a licensed person, it is your right and your responsibility to uphold the welfare of horses you own, use or have in your care, and to ensure they are not subjected to abuse, neglect or mistreatment. Upholding the welfare of horses, as a primary consideration in all activities. Requiring that horses be treated with kindness, respect and the compassion they deserve, and that they never be subjected to mistreatment. Ensuring that owners, trainers, drivers and their agents use responsible care in the handling, treatment and transportation of their horses, as well as horses placed in their care for any purpose. Providing for the continuous well-being of horses by encouraging routine inspection and consultation with health care professionals and competition/industry officials to achieve the highest possible standards of nutrition, health, comfort, sanitation and safety as a matter of standard operating procedure. Continuing to support scientific studies on equine health and welfare. Increasing education in training, horsemanship and breeding practices - including after racing. Requiring owners, trainers, drivers and stablehands to know and follow their State Controlling Body's rules and regulations in all equine activities and businesses. Reviewing, revising and developing rules and regulations that protect the welfare of horses. The standard by which conduct or treatment will be measured is that which a reasonable person, informed and experienced in generally accepted equine practices, would determine to be cruel, abusive or inhumane. Harness Racing Australia is dedicated to the humane treatment and welfare of horses. The cruel, abusive or inhumane treatment of a horse by any owner, trainer, driver, stablehand or other person must not be tolerated anywhere, under any circumstances. Intentionally causing pain or unnecessary discomfort to a horse. The standard by which such conduct or treatment will be measured, is that which a reasonable person. Informed and experienced in generally accepted training and racing procedures, would determine to be cruel, excessive or inhumane. Cruelty to a racehorse In competition must not be tolerated. State Controlling Bodies and Clubs may consider further action and sanctions within the Rules of Racing and various Racing Acts. It is recommended every Club publish a statement regarding its position on the abuse of horses and its commitment to the humane treatment and welfare of horses.